Insights from digital savings studies show promising results from coupling savings products with two-way SMS, mobile learning platforms, and client training. Various types of savings accounts—accounts with default contributions, locked accounts, and commitment accounts—were found to improve the savings behaviors of users. Additionally, one study forefronted the need for careful planning when transitioning from an analogue to a digital service, and another raised the issue of differential impacts of digital interventions between women and men. The evidence on digital credit was limited compared to evidence on traditional microcredit. Yet insights for promoting ‘healthy borrowing’ surfaced. 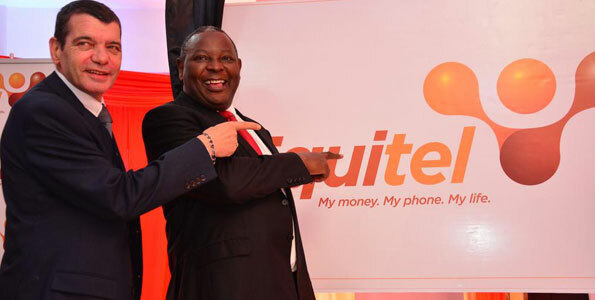 These included optimizing ways to frame and time SMS repayment reminders, making borrowing T&Cs more salient and accessible, and providing interactive educational content on financial literacy. However, beyond borrowing behavior, there is limited evidence for the longer-term impacts of credit. With 18 studies, Person-to-Person (P2P) payments and transfers have the most fully formed, evidenced based pathway to client impact. The insights on this topic are numerous and often consolidating, allowing us to have more confident conversations on the impact of P2P. Numerous tests highlighted how users share risk and smooth consumption through quick access to remittances, while others qualified the ease of storing value and making and receiving transactions in privacy. However, money comes from somewhere and some studies also raised concerns regarding the pressure on those who do the sending. Most recently, we reflected on sources of variance when testing for impact, that is, each digital finance study tests the the impact of a product, in a country, for a population, via a channel. On the product side we noted that digital credit and insurance products, are under-evaluated for client impact. In terms of geography, learning has been concentrated in East Africa; while this knowledge may be transferable, there are far fewer studies from other regions. Lastly, we shared that studies that disaggregated impact on more excluded groups (women, lower income, less education) showed that different populations can experience different outcomes. This insight challenges an assumption that a given product will have the same effects across the board. The EGM insight topics of FiDA’s mini-series represent only a small sample of what can be gleaned from the EGM. For instance, we did not develop product-level insights for digital products like Government-to-Person transfers (G2P), Business-to-Person transfers (B2P), or digital insurance There are reasons for this. The main reason was the low volume of studies on these topics. Additionally, in the case of G2P and B2P, we observed that, of the few studies available, each tested different outcomes, in different ways, in different markets. The studies have not consolidated enough to derive actionable insights. The digital finance community is in a nascent stage of testing and learning about the effects of these products. And although these specific digital payments are a niche line of inquiry, we will continue to track new studies for those who work in this space. Beyond a product-level analysis, the EGM comprises other learning, such as the types of product design and delivery mechanisms gaining traction, segmenting findings by population types and market level, or even methodological approaches to measuring digital finance impact. The EGM can be used as an entry point for all of these inquiries. What would it take to conclusively prove that digital finance has development impact? In October of this year, I spoke at the Mastercard Foundation’s Partnership for Financial Inclusion Learning event, convened by IFC. A question posed to the panel was “What would it take to conclusively prove that digital finance has development impact? 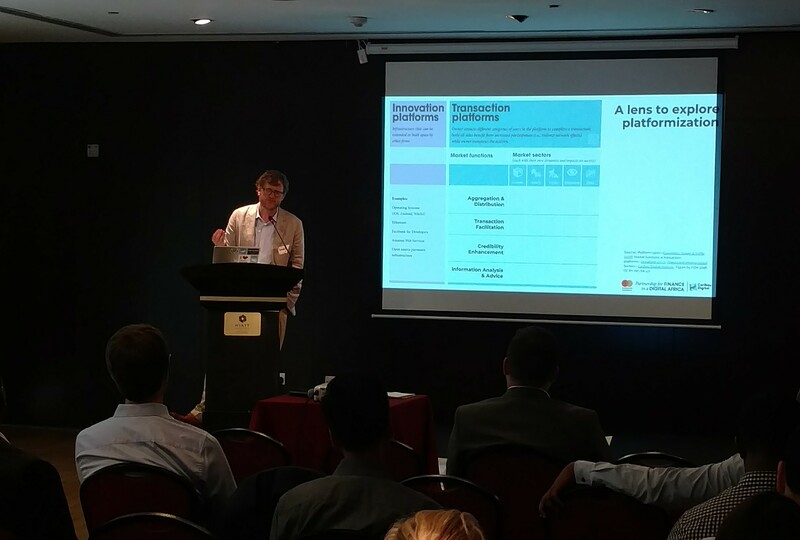 While I raised a few points on the need for funding mechanisms, quality partnerships between researchers and digital finance services providers, and the value of sharing null and negative results, my standout insight came from EGM analyses: No single study can prove a digital finance impact pathway. This is why synthesis documents are so incredibly valuable in advancing learning. Imagine the resources for 50 impact studies a year were available. The digital finance community can only extract a certain amount of value from the 50 studies if the 50 studies are unaware of each other. This unawareness might mean that each study has different conceptualizations of digital finance, the effects it may have on certain clients, and how to measure outcomes; they might even focus on different assumed knowledge gaps rather than actual knowledge gaps. They would not be learning from each other. Alternatively, imagine that, for the same 50 studies, there is an incentive to cross check and coordinate to ensure that each is in dialogue with the others, testing the real gaps, finding things that the other studies did not, consolidating previous learnings, and creating a mini-community that talks about what is working and what is not. Through open communication, the digital finance community can get far more than 50 studies’ worth of information from the same 50 studies. That is how the digital finance community will come closer to an understanding of the impact of digital finance. The greatest impact we can have through resources like the EGM, is in using the knowledge of the digital finance community to make better choices on both testing impact and designing better products. FiDA is publishing a series on insights derived from an analysis of the latest Digital Finance Evidence Gap Map (EGM) update. This is the sixth blog. In previous insight pieces on savings, credit, and, Person-to-Person (P2P) transfers, we synthesized what we learned from studies in the Digital Finance Evidence Gap Map (EGM) using a product lens. However, the product lens is just one perspective, and the digital finance impact landscape is more varied and layered than this. Here we share four factors that digital finance researchers should consider when testing the impact of a digital finance product. Digital finance includes dozens of diverse products, and researchers need to disentangle each digital finance product from the broader category in order to deepen the digital finance community’s understanding of what changes each of these products catalyze in the lives of low-income users. When the 60 product studies within the Digital Finance Evidence Gap Map (EGM) were disaggregated, we saw vast differences among the products that have been tested to date. P2P payments and transfers account for 30% (18) of the impact studies, savings for 18% (12), and credit for 12% (7). Results from studies on P2P transfers cannot contribute to our understanding of the impact of digital credit. Indeed, every product comes with its own theory of what changes as a result of interacting with it. To advance knowledge in the digital finance community, we need to identify the gaps in product impact knowledge and allocate resources to begin correcting it. Digital finance products can be and are designed and delivered in many different ways. The difference with digital is the opportunity to enhance services, and hopefully outcomes, by integrating design and delivery elements. An analysis of the EGM confirms that product designers use a multitude of innovative digital, and non-digital, design and delivery mechanisms. The EGM shows that across the 60 products studied, 28 different design and delivery features were observed. On average there were two design and delivery mechanisms described per product in the EGM. This means we might expect different client outcomes from digital credit products with a mobile learning component versus digital credit products without. Even within the same category of digital finance products, how they are designed and delivered may differ, and these differences result in variance in user outcomes. However, most studies are not engineered to show whether the driver of change was (1) the way they recruited clients, (2) the training content, (3) the price of the SMS, or (4) some combination of these elements. These design and delivery choices typically become a single data point in a study so that we learn about the sum of the whole, rather than the sum of the parts. This is fine for deployments but a challenge for meta-analysis and impact assessment unless these variations and distinctions are made explicit. A product owner could test a similar product in two different countries and find that client outcomes diverge. Regulation, infrastructure, capital, and, of course, the client’s ability and need to engage with the product vary across markets. 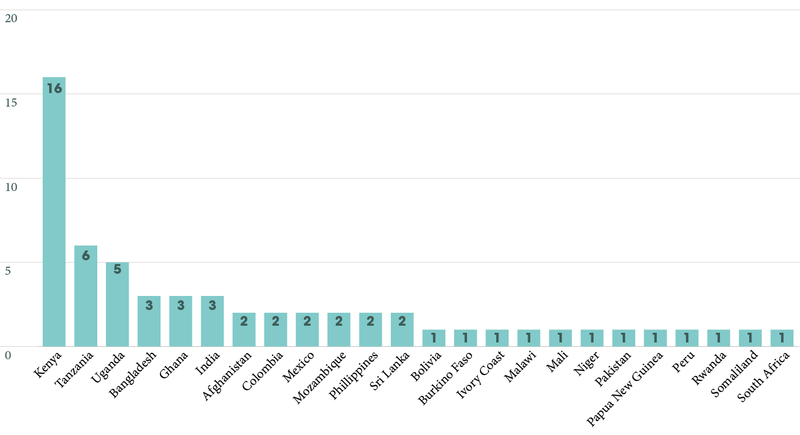 The EGM represents 24 countries, but Kenya accounts for over a quarter of these impact studies (27%) and East Africa as a whole for over half (52%). 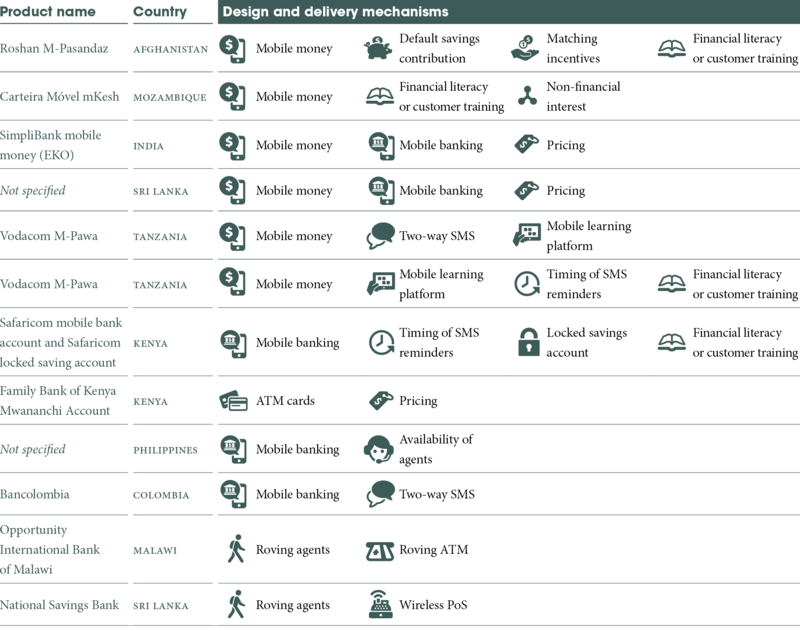 Unsurprisingly, Kenya, the site of much innovation in digital finance, is the most studied country. But we must acknowledge that we simply know less about other regions and countries and that much of our learning comes from a particular region. So, before we transfer learnings from Kenya or Tanzania to other contexts, we must carefully consider the various social, economic, and cultural differences involved. We could also test the same product in the same country with different client segments and find different results. One question to ask is, with which population segments are we testing various digital finance products? 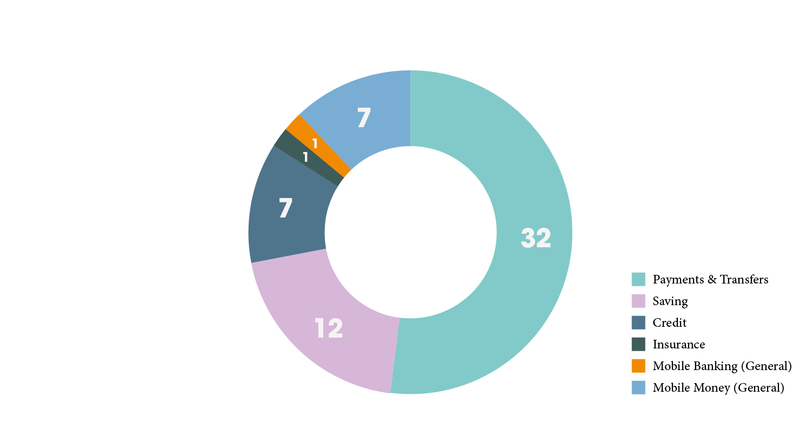 From a review of the 60 products in the EGM, the user sample has been concentrated on a mix of urban and rural clients (30%; 18), followed by exclusively rural clients (22%; 13). Fewer studies, 12% (7), have focused on smallholder farmers and, 8% (5), on women. With whom we choose to test our products matters. Just as a specific market focus can limit our generalizability so can the client sample. This is not necessarily a bad thing: in the context of digital finance, a number of outcomes are unlikely to be experienced equally by all clients. Often, some people benefit more, others less. But we only know when we test for it. See FiDA’s Snapshot on How do advances in digital finance interact with dynamics of exclusion? for more details. A quarter of the studies in the EGM looked for, and highlighted, differential effects on some level within a market based on gender, location, income, or education as described below. In a study of M-Pesa in Kenya, results showed that M-Pesa users did not resort to reducing consumption as a coping mechanism when they faced a negative economic shock. Further, the effects were shown to be more evident for the bottom three quintiles of income distribution than for the top. A study on mobile money in Burkina Faso found that individuals living in rural areas were three times more likely to save with mobile money than those in urban areas. Additionally, women were six times more likely to save with mobile money than men, and less educated individuals were four times more likely to save with mobile money than higher educated individuals. A Kenyan panel study on M-Pesa reported that mobile money access reduced both extreme and general poverty and that the effects were more pronounced in women—women being affected more than twice as much as the average. A study in Tanzania examined the impact of P2P transfers in the event of a [weather related] shock. They found that the benefits of other people using mobile money in the community come largely from rural areas where, with 1/3 of the village using mobile money, household benefit by a 10% increase in consumption. In urban areas this effect is only 3% and not significant. There are also cases in which the benefits of digital finance accrue to high status, high skill individuals, rather than to marginalized populations. CGAP partnered with the Busara Center for Behavioral Economics and Jumo KopaCash—a mobile money marketplace that offers digital credit—to measure client responses to various repayment reminders. The messages’ results varied by demographic with positive effects on repayment for male borrowers and negative effects for female borrowers. 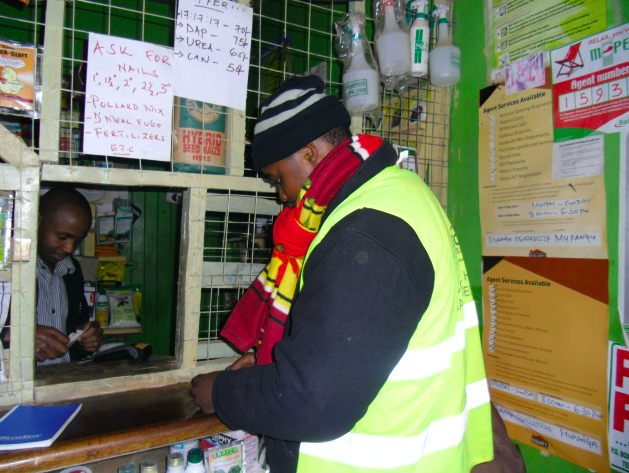 In a panel survey looking at the savings behaviors of M-Pesa users and non-users in Kenya, 65% of M-Pesa users reported having some savings, compared to 31% of non-users. The results showed that those most likely to have savings are male, live in rural areas, and have higher levels of education and income. In terms of the value of savings, those who registered with M-Pesa save 12% more than those not registered. Furthermore, the survey showed that those who are male, urban, and have higher levels of education and income tend to have more savings. A study on the effects of ATM cards on bank account use in Kenya found that while ATM cards increased account use among male-owned and joint accounts, a negative impact was found on female-owned accounts.The hypothesis was that household pressures to share savings drove women to stop using their accounts when an ATM card reduced the costs of accessing their money. Testing the effects of a roving Point of Service (PoS) on savings account use in Malawi, researchers observed differential levels of impacts based on wealth levels. For households at the top of the wealth distribution, an increase in savings services was associated with less reliance on distressed asset depletion to cope with economic shocks. However, the effect was the opposite for those at the bottom of the wealth distribution. These observations offer the digital finance community a refined understanding of impact by determining the conditions under which impact is present, or stronger or weaker. They also underscore the need to examine how a digital finance product interacts with and affects various excluded groups. 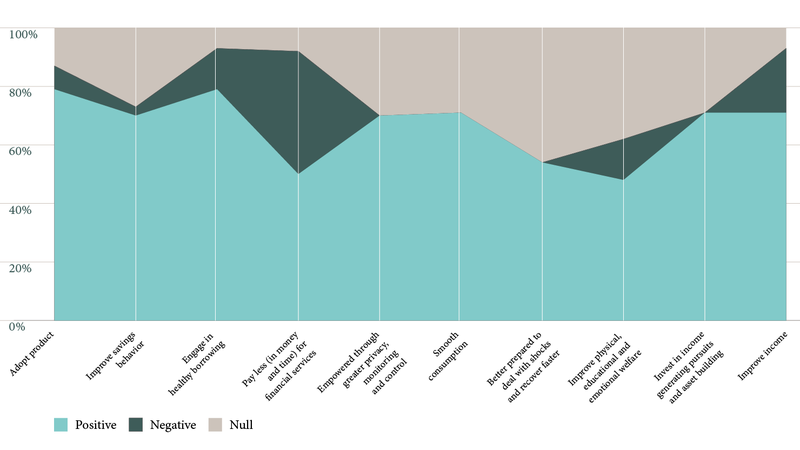 Digital credit, particularly insurance products, are under-evaluated for client impact. While a growing community of practitioners are working to address gaps in credit knowledge (for example the Digital Credit Observatory, CGAP, FSD Africa), this is not yet the case for insurance. Digital insurance, a nascent product, has primarily, and understandably focused on business model testing. However, as a starting point, qualitative work should begin examining the insurance impact theory. Much research has looked at what does and does not work in terms of product configurations and campaigns, but few impact studies are engineered to pinpoint whether the recruitment strategy, pricing, messaging, or something else that contributed to a given change.While thousands of choices go into product design and delivery, they typically become a single data point. Without understanding this nuance, it is difficult to discern exactly what we are learning. The learning on digital finance impact is concentrated in East Africa. While this knowledge may be transferable, there is a notable absence of studies that focus on West Africa and Southern Africa. Digital finance studies that have examined impact on more excluded groups show that impact is not homogenous. While a few studies specifically define a group of people, we lack research that disaggregates client segments. Acquiring this knowledge would advance our learning on product design and user needs. Although these nuances may seem obvious to some and overwhelming for others, it is important to recall that while the impact landscape is complex, the studies themselves do not have to be. There is more than one way to gather impact insights, and if the digital finance community is going to be inclusive, we must ensure that we are expanding the conversation on impact to include, in an appropriate way, voices and signals beyond those that can be gathered by experimental methods (See FiDA’s Approaches to determining the impact of digital finance programs for more details). To continue building the evidence base, the broader community needs to be more involved in contributing insights so that we can have active conversations about impact. Every study that targets a gap— in a product, a market, a design and delivery mechanism, or a client segment—brings the digital finance community closer to understanding the various impacts of different digital finance products and services. Developing an evidence base is like building a puzzle, no individual piece can reveal the picture, but, bit by bit, the picture will emerge as new pieces are added. FiDA is publishing a series on insights derived from an analysis of the latest Digital Finance Evidence Gap Map (EGM) update. This is the fifth blog. The studies in the EGM represent our best knowledge of digital finance impact insights. New studies are ever emerging and thus the EGM will continue to evolve. If you have questions about the EGM, are interested in discussing research priorities, or know of relevant digital finance impact studies that meet the inclusion criteria, please contact ideas@financedigitalafrica.org. This post has been co-authored by Niamh Barry from the FiDA Partnership, and Natasha Beale, Carson Christiano, and Alexandra Wall from the Digital Credit Observatory (DCO) at the Center for Effective Global Action (CEGA). Credit is a powerful tool in providing liquidity: credit can smooth consumption during financial shocks, provide capital to grow businesses, ensure children’s educations, and ultimately enable people to live happier, healthier, and more prosperous lives. Traditionally, credit providers require agent and client interaction, risk assessment uses previous financial history, loans are disbursed into a bank account, and payments are made through a bank branch. This excludes those without bank accounts, documented financial histories, or access to a branch. Since digital credit is instant, automated and remote, it could potentially overcome these barriers. Digital credit products can assess credit worthiness remotely and automatically using alternative data sources such as call records, mobile money use, and even geospatial and psychometric data, and then lend money directly to consumers’ mobile phones. Currently, the digital credit market landscape is “dominated by short-term, high interest loans made directly to consumers,” often through telco-bank partnerships. Five years after its launch, 21.1 million Kenyans have accessed credit through Safaricom’s digital lending product M-Shwari. In addition to the telco-bank model, more and more companies are emerging to meet the growing demand for digital credit including numerous fintech companies that provide intermediary digital credit scoring services or directly originate loans to customers through app-based lending using alternative data. However, high interest rates and the volume of clients blacklisted by credit bureaus— often for late repayments or defaults on loans less than USD $2.00 —are cause for concern. Researchers and practitioners must carefully consider both the causes and effects of over-indebtedness. What are the insights so far? The EGM, is not confined to products that are digitised ‘end to end’, but also include credit products that have digitized some aspects of their design or delivery. Within the EGM there are just seven studies that have tested the effect of digitally enabled credit products in five countries. These studies are not yet representative of the diversity of all the digital credit products available so it is not possible to make definitive statements on the ‘impact’ of digital credit. The studies involve different markets, client groups, and design and delivery mechanisms. 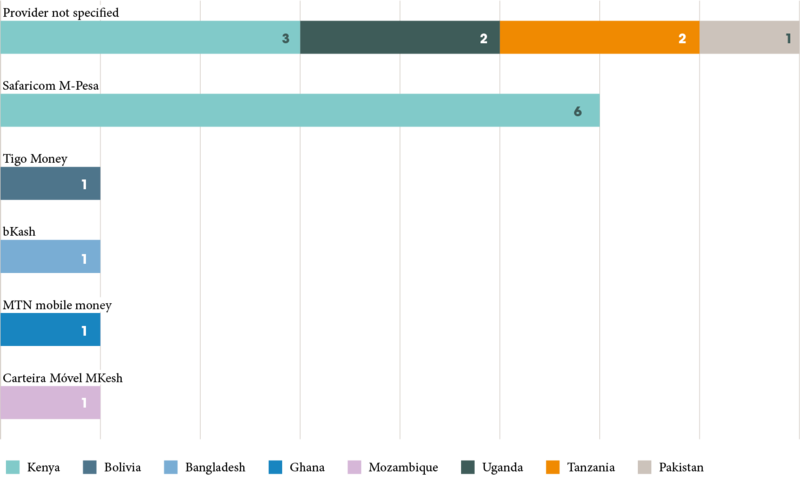 The table below illustrates the diversity of the digital credit products examined. These studies include 21 tested outcomes, with ‘healthy borrowing’ being the primary outcome of focus, and just two studies providing insights on the longer-term effects. The diagram below shows the outcomes tested and the number of studies that had a positive, negative, or null effect; 57% of the credit products tested showed only positive results and 43% showed mixed results. The diversity of results is indicative of the early stage of testing and learning. As more products are tested and we continue to synthesize the evidence—with the support of investors, donors, practitioners, and researchers— clearer patterns may emerge. We highlight just a selection of insights from an analysis of the studies within the EGM and invite digital credit practitioners, researchers, donors, and policymakers to interact with the EGM to derive insights related to their own questions. CGAP partnered with Busara Center for Behavioral Economics and Jumo KopaCash—a mobile money marketplace that offers digitally delivered credit—to measure client responses to various repayment reminders. Clients were given interest-free loans via mobile money and asked to repay them after a week in order to access a larger future amount. They found that clients who received evening reminders were 8% more likely to repay their loans than those who received morning reminders. They also tested reminders that varied how they communicated the benefits of repayment. Messages either emphasized ability to access higher future loan amounts or the long-term benefits of repayment. The messages’ results varied by demographic, such as positive effects on repayment across the board for male borrowers and negative impact on repayment across the board for female borrowers. Also with support from CGAP and the Busara Center, Pesa Zetu— a peer-to-peer digital lender—tested the impact on repayment of content variations. One test varied the messages received by borrowers to see if different framings could improve borrowers’ on-time payments by creating a sense of social obligation to the lenders. 81% of borrowers who received reminders that included the name or number of lenders who contributed funds, were more likely to repay their loans on the day the reminder was sent, compared to only 27% in the control group. The CGAP, Busara, and Jumo KopaCash experiment also tested information disclosure in a lab setting. Participants played a game in which they earned real money by completing various tasks on a computer. To buy into the game, they had to borrow money that they would pay back with what they earned from completing the tasks. Each loan outlined the different costs and repayment periods. They found that separating out the various associated costs with a loan helped reduce default rates from 29.1% to 20%. The experiment also sought to make the terms and conditions (T&Cs) more accessible by moving them up in the product menu: T&C views rose from 9.5% to 23.8% and those who viewed the content had a 7% lower delinquency rate. In another CGAP supported experiment, M-Pawa—an interest-bearing mobile money savings account that provides micro loans conditional on savings performance—partnered with Arifu, a mobile learning service, to improve savings and borrowing behaviors among smallholder farmers. Using two-way SMS on financial literacy content, researchers observed that after the interaction, Arifu users take larger loans (1,017 TZH/$0.44), repay sooner (by 5.46 days), and have larger first payments (1,730 TZH/$0.76 more) compared to their behavior before interacting with Arifu. With the support of the IDB Group, Empresa de Servicios Públicos de Medellın (EPM)—a large retail store—created and tested the ‘Social Financing Program’ in Colombia. The program provided credit to allow EPM customers to buy various home and personal goods in establishments affiliated with the program. By using its own data to evaluate credit applications, EPM required less information than traditional banks. The initiative aimed to serve low-income borrowers with less access to formal finance by enabling them to build a credit history and buy goods. They found no effect on uptake of other financial tools (such as savings accounts and formal credit). However, the results show that the credit card was associated with an increase in the number of household goods owned, such as floors, kitchens, and bathrooms. The intervention showed mixed and limited results on self-reported well-being outcomes. In partnership with Safaricom, researchers piloted the use of a mobile banking account (MBA) and a locked savings account (LSA) to encourage parents to save for their children’s transition to secondary school. Use of the MBA increased the likelihood of credit access within the platform. Parents in both treatment groups were between 3% and 5% more likely to draw on an MBA loan than the control group. The treatment estimates also suggest that between 12% and 18% of users who opened an account as a result of the program took advantage of the credit option. 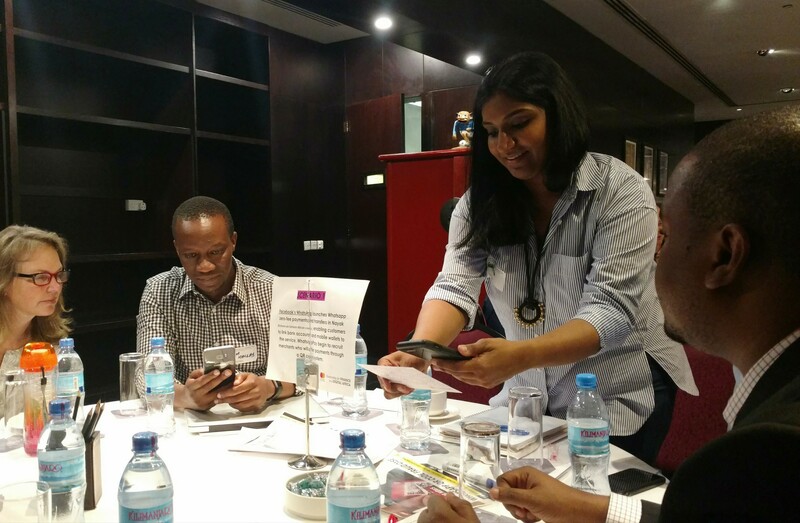 CGAP and FSD Kenya recently conducted two large-scale, nationally representative phone surveys of mobile phone owners in Kenya and Tanzania. 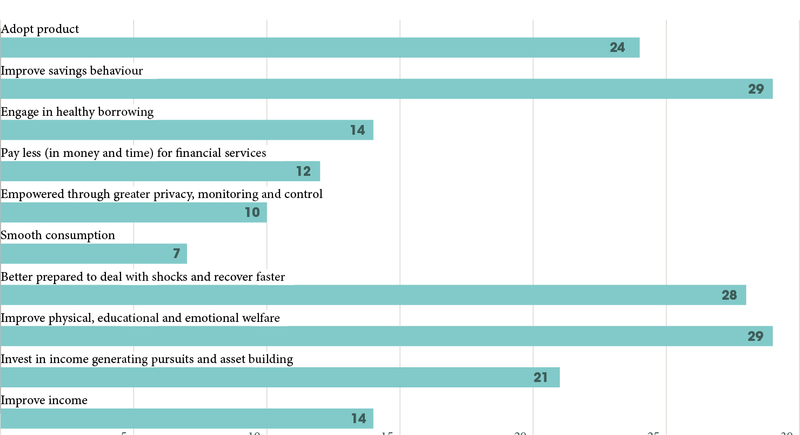 The survey findings are numerous and a few are highlighted here. The primary users of digital credit products are predominantly young, urban self- or wage-employed men. Most borrowers use the loans to meet business and day-to-day needs. Loans are rarely used for medical needs or emergencies. Digital borrowers use more financial services than the average Kenyan or Tanzanian adult. About half of borrowers report having repaid a digital loan late, and a significant proportion report having defaulted. Digital credit is only one loan source among many. 33% of digital borrowers in Kenya and 25% in Tanzania were juggling loans from two or more sources (digital and nondigital) at the time of the survey. More than a quarter of borrowers in Tanzania and nearly a fifth in Kenya, reported experiencing poor transparency of fees or terms. It evident that better transparency and consumer protection requirements are needed and regulators, donors, and investors alike will need to play a role in ensuring the digital credit market grows responsibly. The framing and timing of SMS reminders can improve repayment rates and protect borrowers. But the differential effects observed between men and women suggest that further testing is needed. Making T&Cs more salient, accessible, and thus viewed and understood by borrowers may lead to better borrowing behavior and repayments. Using interactive learning content on financial literacy has shown promising results for repayment behavior. Being in an existing financial ecosystem may improve use of other financial services, such as using savings to access loans. Beyond borrowing behavior, we know very little. In 2016, the Center for Effective Global Action (CEGA) at the University of California, Berkeley launched the Digital Credit Observatory (DCO), funded by the Bill & Melinda Gates Foundation, to call attention to open research questions around digital credit. The DCO noted —in 2016—that, to their knowledge, “not a single quantitative impact evaluation has rigorously measured the social and economic impacts of digital credit.” This is in contrast to the 90 (quantitative) studies included in a more recent meta-analysis of traditional microcredit. Only very recently has a FSD Kenya supported study provides insights on the longer term effects of a Kenyan digital credit product. In order to advance the discourse on digital credit, the DCO manages a set of coordinated studies answering key questions related to the impacts of digital credit in emerging markets, as well as the effectiveness of promising approaches to maximizing benefits and minimizing risks to low-income consumers. The research portfolio also considers the heterogeneity of effects of products and their design and delivery on different client segments. Such insights from the DCO are possible due to engaged donors, practitioners and researchers. 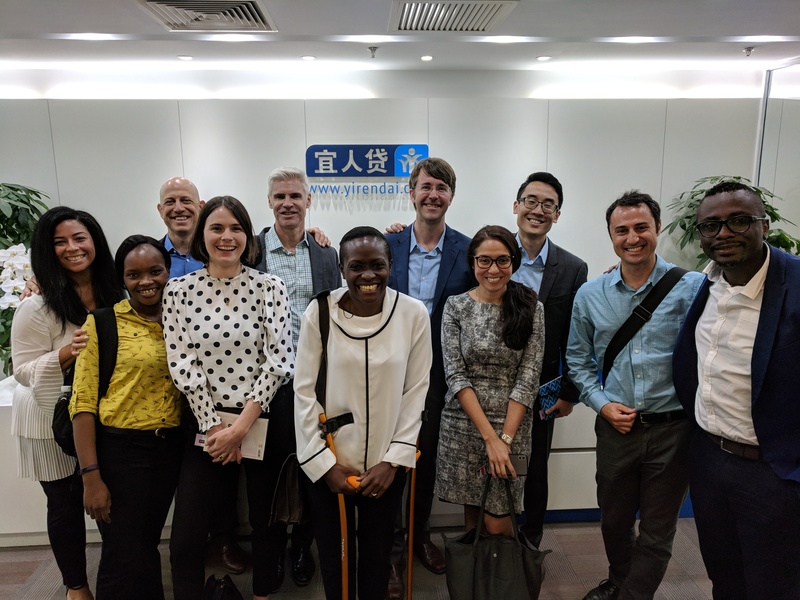 The digital credit community must continue to look for opportunities to gather impact insights so we keep learning how to best move forward in the journey toward meaningful financial inclusion. *While this study was concluded after the literature review period ended and thus will be included in the next iteration, the findings provide the most current and detailed nationally representative evidence available on digital credit and related consumer issues for users in East Africa. FiDA is publishing a mini series on various insights derived from an analysis of the latest Evidence Gap Map (EGM) update. This is the second blog, others will include impact insights on digital credit and payments and transfers, the design and delivery of various products, and where (people and location) we have been looking for impacts. Saving is a sound financial practice, particularly for people with lower or fluctuating incomes. Savings help people cope with a poor harvest or a sick family member. Sufficient savings can secure the continuation of children’s educations or allow for the expansion or diversification of a business. Those who save may be rewarded with interest or, as they build a financial footprint, access to credit which—when invested in businesses or income-generating assets, can increase earnings. As simple as it is in theory, many struggle to save effectively. There are several challenges to overcome such as limited discretionary income, fee sensitivity, access to and availability of appropriate savings products, and savings habit formation. While numerous studies report the impact of various analog approaches to improving savings behavior and the longer-term results of savings, we focus on if and how ‘digital’ has improved savings behavior among low-income populations. The EGM includes just 12 studies that evaluated the effect of digital savings products (in 9 countries). It is early in terms of the quantity of insights. Accordingly, we should be cautious about drawing conclusions or rendering a verdict. With the exception of the Tanzanian studies on M-Pawa, these 12 studies involved different markets, client groups and design and delivery mechanisms. The table below illustrates the diversity of the digital savings products that were examined. These 12 studies, entail 41 outcomes tests. The diagram below, shows the outcomes tested, and the number of studies that had a positive, negative, or null effect. Positive, negative, and null effects have been observed on client outcomes both across the studies and within a single study. This is indicative of the early stage of testing and learning on digital savings. Over time—with the support of investors, donors, practitioners, and researchers—more products will be developed and tested. As we continue to synthesize the evidence, clearer patterns may emerge and eventually allow us to uncover best practices. We highlight a selection of insights from our analysis of the studies within the EGM and invite digital savings practitioners, researchers, donors, and policymakers to interact with the EGM to derive insights that match their needs and questions. In a CGAP supported experiment, M-Pawa—an interest-bearing mobile money savings account that also provides micro loans conditional on savings performance—partnered with Arifu, a mobile learning platform, to improve savings and borrowing behaviors among smallholder farmers. Using two-way SMS on financial literacy content, the intervention observed that if a customer ever interacted with Arifu, they had a larger number of transactions compared to non-Arifu customers (0.64 more). Additionally, interaction with Arifu’s content led customers to have larger running balances (4,447 TZS/$1.94 more). The Technoserve Women in Business program also partnered with Arifu and M-Pawa to trial two interventions meant to improve business outcomes for female micro entrepreneurs. The M-Pawa intervention provided an M-Pawa training session and allowed clients to set savings goals and receive weekly savings reminders through Arifu. The business intervention included the M-Pawa training session in addition to business skills training. The results showed that women in the M-Pawa group saved three times more than women in the control group, while those in the M-Pawa plus business training group saved almost five times more. The intervention increased the probability of receiving a loan by 14 percent. Regarding business outcomes, the study found that the intervention did not have an impact on business survival. There was, however, evidence that the intervention led to business expansion when combined with business training. Here, women were 4.6 percent more likely to operate a secondary business and generate a small increase (4,000TZS/$1.74) in monthly profits. Bancolombia tested two-way SMS, in partnership with Juntos Finanzasto improve savings balances among their clients. Three months after the introduction of two-way SMS, active new accounts increased by 32.5% and average account balances increased by 50%. Sri Lanka’s National Savings Bank piloted weekly, door-to-door savings deposit collection services to a randomly selected sample of individuals in rural areas using a wireless point of service (POS) terminal. The weekly visits generated an increase in the frequency of transactions, which quadrupled from a control average of .5 transactions per month to an average of more than 2 per month, and overall savings increased by 15% per month. Opportunity International Bank of Malawi deployed roving agents equipped with a mobile ATM to provide savings services to rural areas. 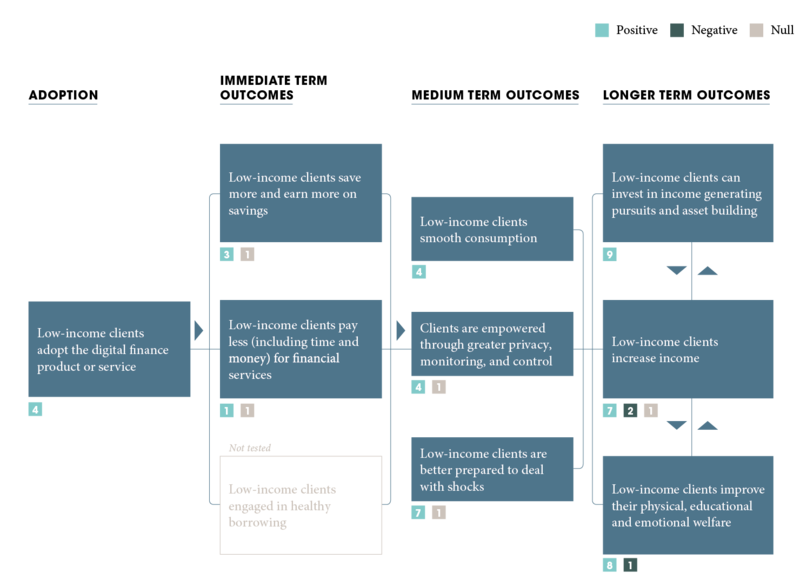 It was expected that access to formal savings services would help households cope with adverse shocks by reducing their use of sub-optimal coping behaviors such as depleting assets. However, the results indicated that having an active savings account did not result in a reduction of sub-optimal coping behaviors. However, the study did find differential levels of impacts based on wealth. For wealthier households, an increase in savings was associated with less reliance on asset depletion. But, the effect was the opposite for less wealthy households. In partnership with Safaricom, researchers piloted the use of a mobile banking account (MBA) and a locked savings account (LSA), to encourage parents to save for the transition to secondary school. Balances on the LSAs earn a bonus of 1% additional interest, which is forfeited if funds are withdrawn early. The two savings interventions were promoted to parents, in addition to a control, at the school level. Estimates suggest that being induced to open an MBA increased bank account savings by between 1,000 and 1,500 KES ($10-$15), and being induced to open an LSA increased them by about 500 KES ($5). Parents in both treatment groups were between 3% and 5% more likely to access an MBA loan. Further, use of the MBAs and LSAs was shown to boost school enrollment regardless of the analysis used; opening a bank account was associated with a 27% to 40% boost in school enrollment. In Afghanistan, assigning a default contribution was found to increase employees’ savings contributions. The study found that employees who were assigned a default contribution rate of five percent were 40% more likely to contribute to the account six months later compared to individuals who were assigned a contribution rate of zero. However, while default contribution was found to increase employees’ savings contributions, no effect was noted on a well-being index which included measures such as nights without food, life satisfaction, and physical health. 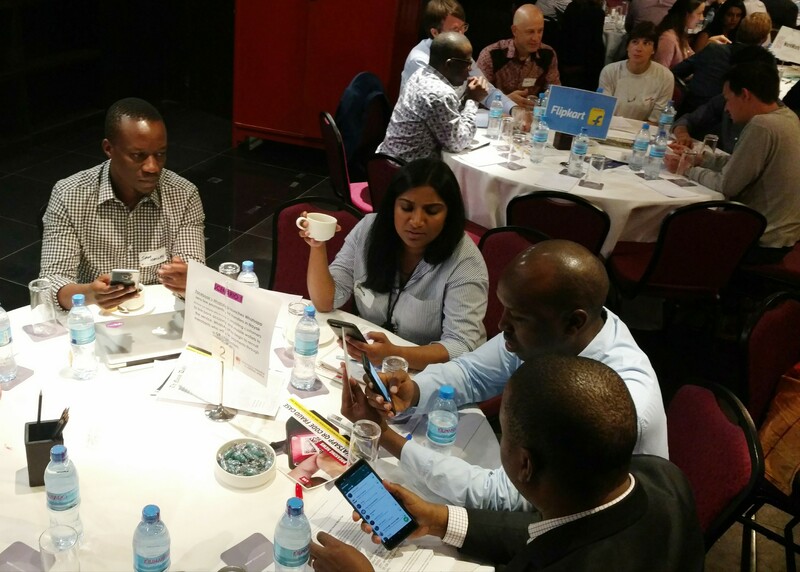 In Mozambique, researchers partnered with mKesh to optimize the mobile money channel as a commitment savings device for smallholder farmers. The savings treatment was based on the offer of a bonus of 20% interest for the average mKesh balance held by an individual before planting season.This bonus was paid in fertilizer. The treatment group also received training on mKesh and fertilizer use as well as a mobile phone. In the first year, the farmers’ average daily savings in mKesh increased by 38% to 44%. Looking at agricultural inputs, statistically significant effects were noted for fertilizer use and owning irrigation pumps. The Family Bank of Kenya tested the effects of ATM cards to boost transactions. ATM cards would reduce the over-the-counter withdrawal fee by 50% and allow for out of hours withdrawals. The ATM cards led to a 68% increase in transactions over two and a half years and increased the value of deposits and withdrawals. However, while the ATM cards had positive effects on joint accounts and accounts owned by men, it decreased the use of female owned accounts. Researchers hypothesize that women were less incentivized to save when their partner could access their account via their ATM card. A bank in the Philippines piloted a mobile banking system for savings and credit. Previously, members deposited through regular village meetings with bank agents and withdrew at bank offices in town centers. When mobile banking was introduced, members individually made repayments, deposits, and withdrawals through corner stores for a fee. The introduction of mobile banking resulted in a 20% decrease in the average daily balance and a 25% decrease in the likelihood of weekly deposits. This was more pronounced for members who had previously lived close to the bank or village meeting point. A follow-up survey suggested that the decline in savings was driven by the weakened peer effect provided by group banking and increased fee sensitivity. Despite the negative effects, mobile banking did increase the convenience of transactions. Estimates suggest a 30% reduction in the amount of time taken for deposits and 70% for withdrawals. Coupling the introduction of savings products with client training—either through digital platforms or traditional modes—appears to bolster clients’ ability to optimise the use of savings in the longer term.The effects of simply providing the savings products on longer term outcomes, is less certain. Incorporating digital elements into existing traditional financial services such as ATM cards or roving agents with POS technology has been shown to improve access to savings products and savings behavior. A total change from an analog service to a digital service needs to consider the positives of the analog service (such as agent interface and peer effects) and carefully design for the transition. 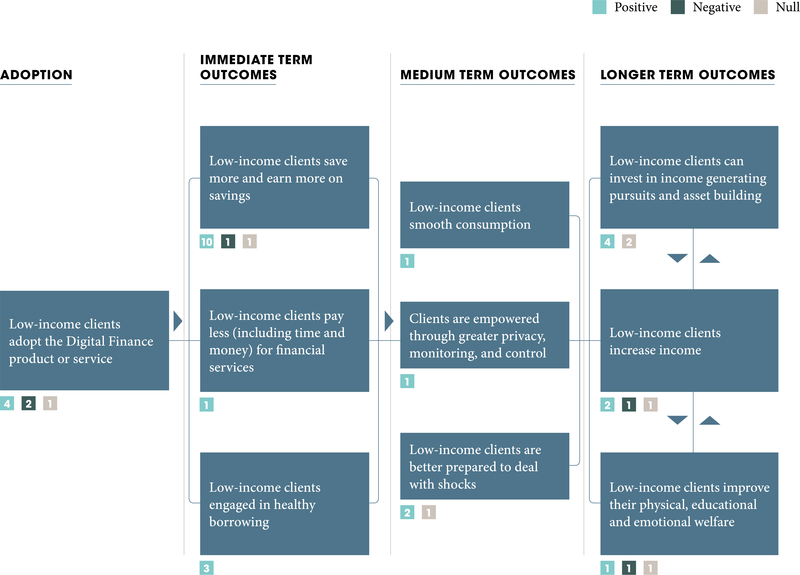 Default contributions, locked savings accounts, and commitment savings accounts were all found to improve the savings behavior of clients, and when client training was provided, longer-term effects on welfare were observed. Product design needs to carefully consider the potential differential effects on, for example, women and men, higher and lower incomes, rural and urban, etc. There are cases where some groups benefit more than others. Researchers, and those who fund research, have a crucial role to play in partnering with digital savings practitioners, articulating robust theories of change for a product, and testing those theories. There are clear gaps in outcomes, products, markets, and, particularly, the client segments tested. The insights gathered thus far are encouraging and, as a community, we should continue to look for opportunities to gather evidence on the effects of digital savings products.